Connect with us. Grow with us. Stronger together. eG Innovations partners with a worldwide network of leading technology companies, value-added resellers, and system integrators to deliver best-of-breed performance management solutions to customers. Premier resellers and distributors who represent and promote eG's products in selected geographical regions. Premium channel partners also offer eG's Authorized Training courses. Global and regional consulting firms who combine best-of-breed technologies with premier consulting practices and methodologies to provide complete solutions for their clients. eG's consulting partners offer value-added implementation and configuration services. eG's service provider partners include Managed Service Providers (MSP), Internet Data Centers (IDC) and Application Service Providers (ASP) who are moving up the value-chain, from being mere infrastructure providers to full-fledged service providers. eG’s ASPlite product is specifically targeted at this market and enables service providers to offer remote monitoring and real-time troubleshooting as value-added services to their customers on a subscription basis. Original Equipment Manufacturer partners license eG's technology to enhance their product suites, giving their customers the ability to monitor and manage complex IT infrastructures. 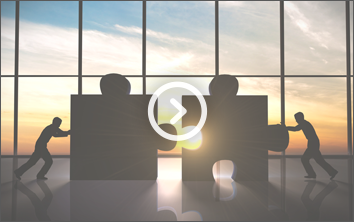 OEM partners enjoy access to the entire suite of eG offerings, including the ability to extend and customize eG's products for specific market segments and/or geographic regions.